After a day full of skiing in Big Bear, your body craves Alleve and warmth. 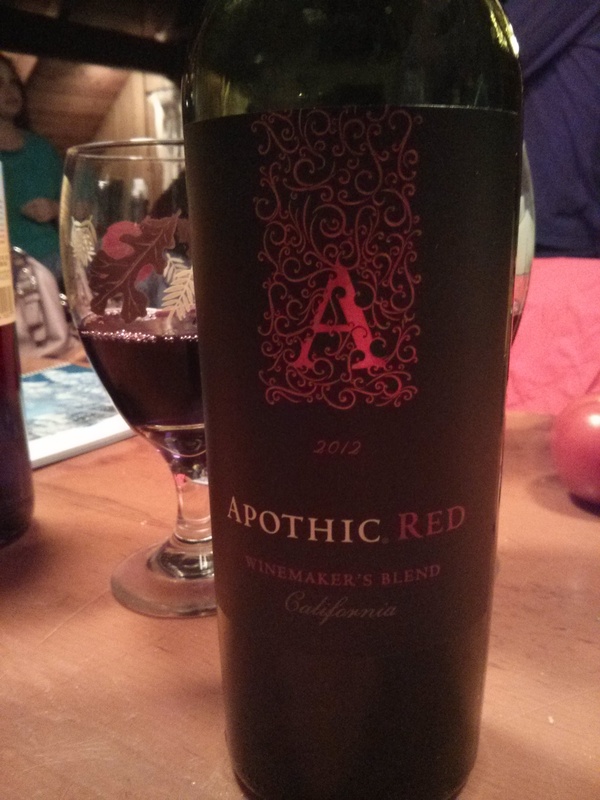 Apothic Red is the next best thing. The sweet, vanilla-y red blend will soothe what ails you and warm you right up, especially if you have a glass or three. The mixture of Zinfandel, Merlot, Syrah and Cabernet Sauvignon is an easy-drinker, minus the alcohol tinge at the end. But the major fruitiness of the blend makes up for that negative. If you like your fruity reds bold and smoky though, I’d stay away from this saccharine libation. 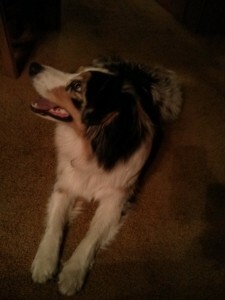 Making the drinking experience all the better, I got to hang out with this fine Australian Shepherd. When to drink: After a day of skiing the slopes!